Researchers from the US Army are looking into the advantages of utilising immersive technology for Warfighters. A new platform has been created to gain access to the AURORA-MR technology. 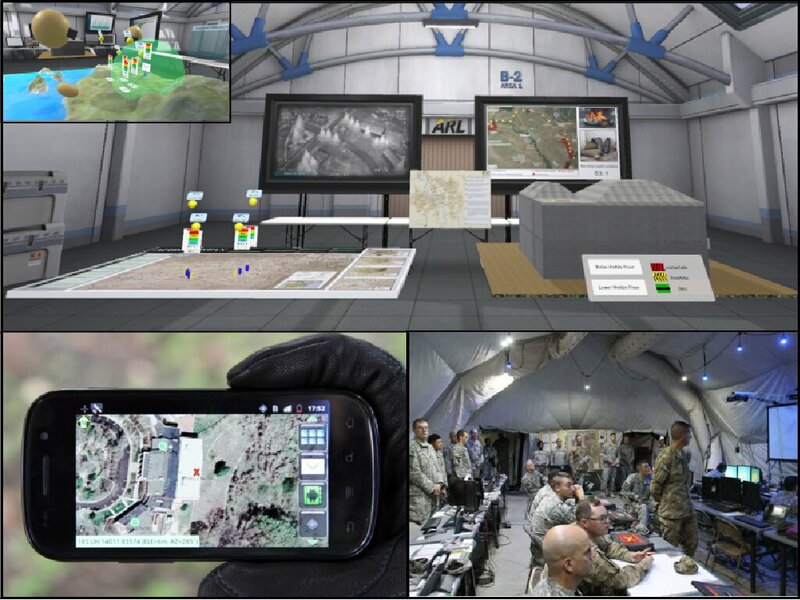 US Army researchers have developed a tool named the Mixed Reality Tactical Analysis Kit (MRTAK), as part of its efforts of researching the core advantages facilitated by immersive technology. MRTAK is a platform utilised to carry out assessments for the joint mission planning and execution phases. MRTAK is currently evolving into a mixed reality (MR) module named AURORA-MR, under the Accelerated User Reasoning for Operations, Research, and Analysis (AURORA) project. The rise of next-gen devices powered by augmented reality (AR) and virtual reality (VR), including the Microsoft HoloLens and the Oculus Rift, has raised interested in mixed-reality based training simulations. The technology is also being used to improve upon elements like command, control, and Warfighter battle precision. One of the end-goals is to incorporate mission-specific battlefield information obtained through body sensors and satellite imagery, into immersive settings. Such an achievement will help Warfighters to fetch relevant information, collaborate proactively and take decisions beyond the realm of conventions methods. Yet, the proof of immersive technology being useful in a scientific sense is quite inconclusive, in terms of aspects such as decision accuracy and enhanced engagement during tasks. The metrics to be utilised for making assessments of such benefits across tasks and devices are also quite limited. Researchers from the RDECOM Army Research Laboratory, the corporate research wing of the Army, has embarked on the task of raising assessment metrics, by collaborating with the US Army Institute for Creative Technologies at the University of Southern California, and the University of Minnesota. A recently published paper contains accounts of researchers surveying assessment methods for gauging immersive technology system benefits. In this paper, the researchers dissect data collection in both tactical and experimental settings, in addition to the prospect of collaboration among multiple users. Additionally, the researchers have dissected the ARL-developed MRTAK within the paper. MRTAK is essential as a platform for performing collaborative planning and execution for assessments. The research was showcased recently, during the 23rd International Command and Control Information and Technology Symposium in Pensacola, Florida. Dr. Mark Dennison, research psychologist, ARL Battlefield Information Processing Branch, at the ARL West in Playa Vista, California, shed his insights regarding the development. AURORA-MR is being utilised as a platform for conducting research regarding multi-party decision making powered by distributed immersive-powered systems.